This stunning Antique Louis Armchair reupholstered in velvet fabric has been beautifully restored. Brought back to its former glory, this gorgeous Antique Louis Armchair now has pride of place in our client’s home. To protect it, the fabric on the chair was Scotch Guarded. This is a free service we provide our clients. Also, we provide a warranty on our workmanship and pick-up and delivery to your home. 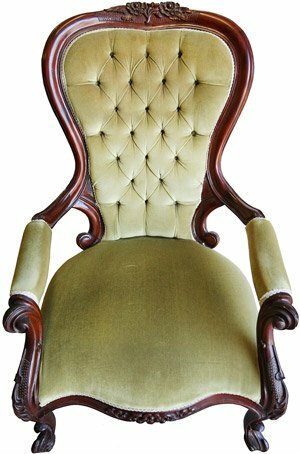 Please contact us to reupholster your antique or vintage Louis armchairs.